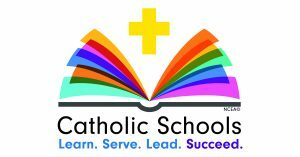 The school community is ready for a great Catholic School Week 2018. We hope you will be able to join us for some of our activities! Sunday, Feb 4 – CELEBRATING OUR FAMILY – Mass @ 11am (Wear your school uniform!) OPEN HOUSE ~ 12:00 – 1:30pm (Students – bring a friend and earn a dress down day!) Visit classrooms, meet staff, registration materials available & light lunch served & last day of Book Fair!